Now that you’ve survived your first year in business it’s time to take a breath and consider what success means to you. Are you generating positive cash flow? Are you taking a salary? Is it enough to support your family? There is a dirty little secret that many business owners rarely discuss – although their business looks successful on the outside it never quite feels that way on the inside. Uncertainty and fear are often the emotions that drive business owners on a daily basis. They believe that personal and financial sacrifices are required for the long journey to their ultimate success. It can take years before they learn that they could have done things differently and made their early years much easier. 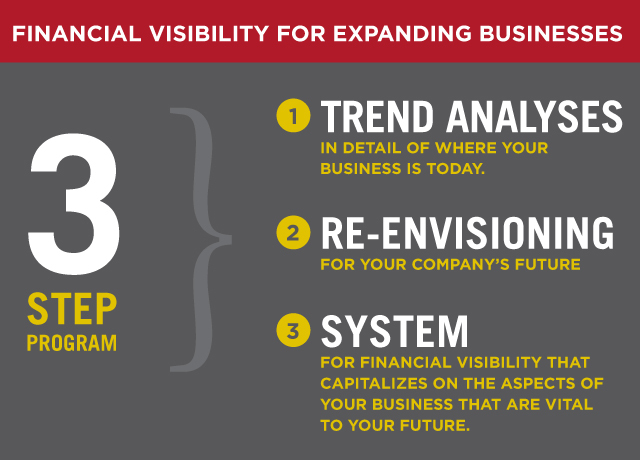 Financial Visibility for Expanding Businesses is a 3-step program that gives you the knowledge to grow your business and benefit financially all at the same time. You will discover what is really driving your initial success and use that knowledge to build a bigger and better business. 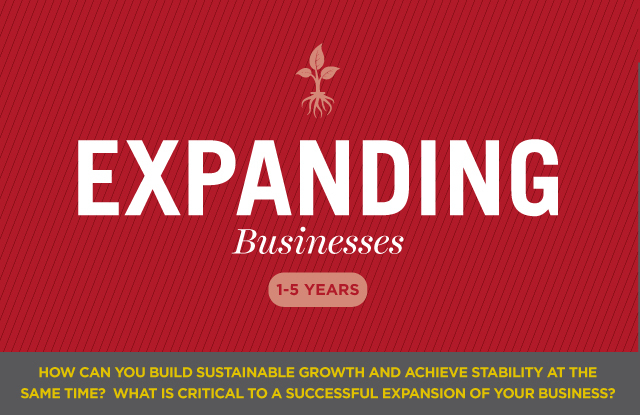 By taking this smarter approach to expansion you will increase your sales and bottom line profits and build greater wealth over your entire lifetime. Step 1: Detailed Trend Analyses of where your business is today. I use data you already have in your current accounting system to identify exactly what factors are driving the success of your business. I present this to you in a concise format of reports and graphs. 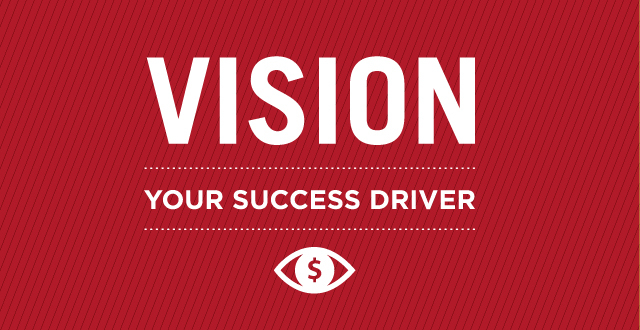 Step 2: Together we Re-envision the future of your Company and create a vision statement for your future. We incorporate your core values and purpose, and focus on maximizing what are clearly your strengths (which we learn from the trend analyses) and overcoming current weaknesses. Step 3: Financial Visibility System – This is a series of procedures built around the financial information you are already gathering in your daily accounting. Your FVS is comprised of two key components that are the tools you need to choose your future direction with clarity and confidence and take your company to new heights. Together we take your expected revenue and costs and compile them into an annual budget and cash flow projection. From there we devise a tailor made VIP (Visible Indicators of Performance) Dashboard that measures your growth and monitors your progress. Note: The companion Expanding Business Program Workbook becomes your permanent record of the evolution of your Vision, the development of your strategies and your Financial Visibility Platform. If desired, this information can easily be shaped into an airtight business plan to share with potential lenders and investors.